Hi, my question is not 100% related to kryoFlux, but it seems on this forum there are expert people that maybe can help me. I have some old 5.25" 360K floppy disks that i'd like to recover (=transfer their content on a modern pc). They were wrote with an 8088 pc running MS-DOS. My "ideal" solution would be an external USB 5.25" drive, so i could use it like an external drive and read/write on it. The most important thing is the "reading" part, writing files would be a cool and interesting feature, but it's not so essential. I did some researches and there are many 3.5" external floppy USB drives, but there aren't external 5.25" drives. 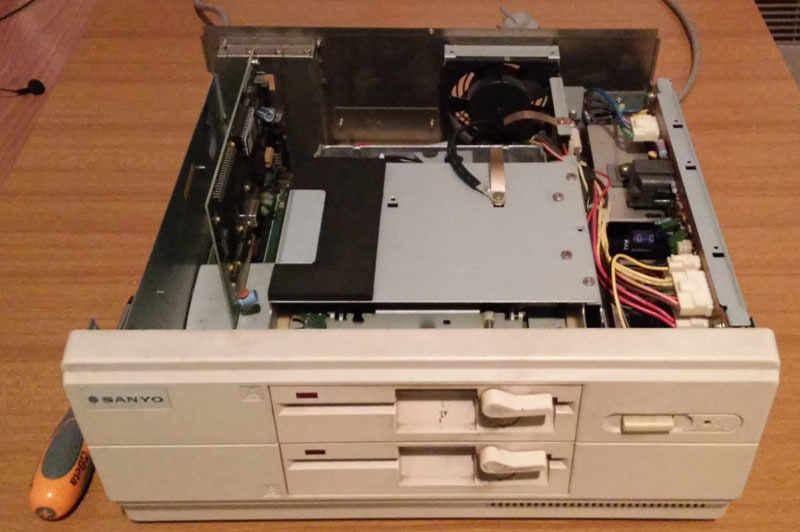 - a 8088 pc with two 5.25" drives. At the beginning both drives were able to read and write, but now only one drive can write, the other one can only read (maybe something is broken/demages). 1) connect the C64 external floppy drive to the "modern" pc using a particoular self-made cable (don't remember if it used serial port or parallel port). I don't remember how the cable was made, and also i'm not sure that C64 drive can read MS-dos floppy. Some years ago i tried the method 4 with a pentium3 motherboard with windows XP. The system recognized the drive, and i was able to read the data from 5.25" floppy. But there were a serious bug: at a certain point, the drive started to overwrite disks with the content of a disk I inserted before! I don't know if it was a problem of drivers, controllers, OS or other, but i need something more secure and reliable. Now i have another old motehrboard (it supports pentium4 and some early core2 processors) with a floppy connector, but i don't know if it's a good idea tro try to use it, it may have the same bugs of the other motherboard. The old PC -solution is probably the best in this case. I'd write protect the floppies, make sure the surface is clean, and also clean the drive head(s) as those can and will get dirty over time and can then cause damage to the disks. By "old pc" you're referring to the pentium4 motherboard? Because the 8088 has only 5.25" drives, so it can't transfer files to more modern disks. How can I clean the drive heads? I remember there was a "transparent" disk in bundle with the C64, do i need to use it? or there are other methods? Best method is often using isopropyl alcohol soaked q-tips to scrub the drive heads. There are special cleaning disks too if you can find one, but sometimes a dirty disk can make such a mess on the heads that the cleaning disk doesn't really work its magic. You have to remove the drive and in some case remove a protective shield on top of some drives. Single sided disks are read with a bottom head (only head in a single sided drive) that has a solid construction and is usually easy to access for cleaning. Double sided drives have uppear head too that is held in a springy construction for which you have to be careful when cleaning so you don't accidentally rip the head out. And I'm sure there are youtube videos about cleaning drive heads. If you have just a few disks that you want recovered, you might consider finding someone locally who is already set up and has experience recovering such disks. 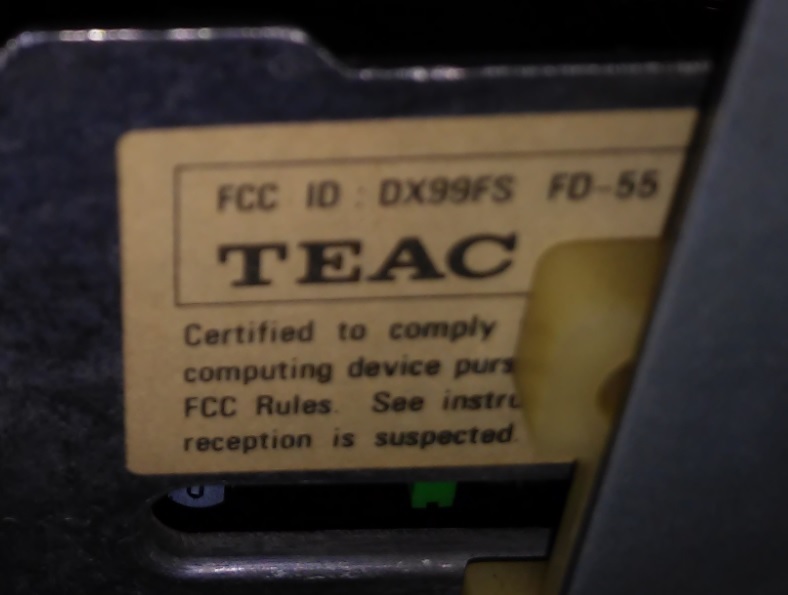 People either here or on the Vintage Computing Forum http://www.vcfed.org/ might be able to help out. On a Windows 9x machine you can even share floppy drives over the network and just drag and drop files. In a nutshell, Windows XP does not support 360k disks. Only 720k, 1.2mb and 1.44mb. It really does not make sense that they dropped that. Also be aware that while 1.2mb 5.25" drives can read 360k disks, they can not reliably write to them. No one ever manufactured 5.25" USB floppy drives. The USB floppy specification only supports 1.4MB, 720k, and Japanese "Mode 3" 3.5" disks. DMF formatted 3.5" disks, copy protected disks, or oddball formatted disks will not work. To make matters worse, most of the USB floppy drives out there are such junk that they fail to implement 720k support. A kryoflux can be a bit of an overkill for just reading in a few disks. It is primarily intended for archiving copy protected software, and writing works kind of like burning a CD (you prepare an image and write it all at once), but it does have some features that can aid recovering damaged disks, and it is not limited to IBM PC formats. 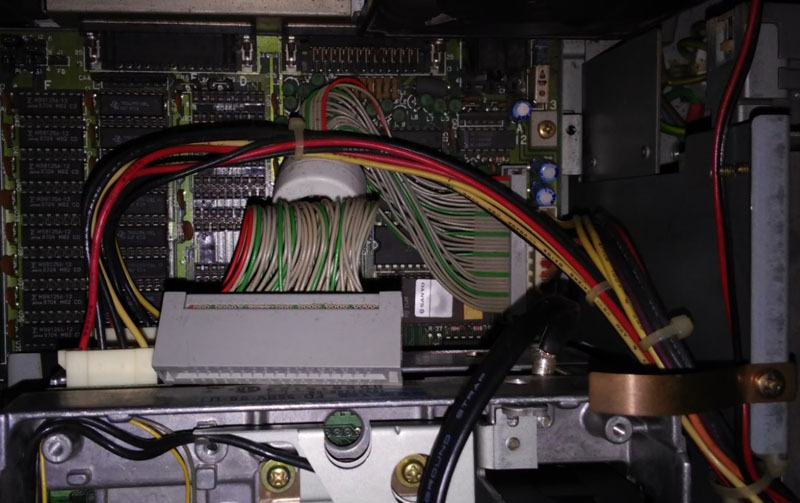 Another option to consider is attaching a 3.5" 1.4mb floppy drive to your 8088 machine - those can be used as 720k floppy drives, which are easy to read on a "modern" machine if you happen to have a USB floppy drive that properly supports 720k. They are not very "few", it's about 100 disks. Not all of them are "important" to me, but if I start the work I'd like to do all of them. Unfortunately i don't have a "tweener", i only have a pentium4 motherboard. I remember that XP showed the right 5.25" icon, why show the icon if they dropped support? It confuses the user. Also system after XP have no support for 360k disks? And what about linux? And what about using directly MS-dos instead of windows? I don't have a 3.5" drive at the moment, and i think also the connector was different. However, i'll open the 8088 in the next days to see exactly what's there inside. So, basically the options are to try with the p4 board (write-protecting the disks) or to buy a kryoflux (that maybe it's "too much" for my needs, but it should work). Today I opened the 8088. It's a Sanyo MBC-16PLUS. It seems i'll have to remove that metal cover if I'll decide to clean the heads. Here is the floppy cable. It's very short. If its a FD-55(A or no further letter) it is a single sided drive (180k only)! mmh, i'm almost sure that it reads 360k disks. 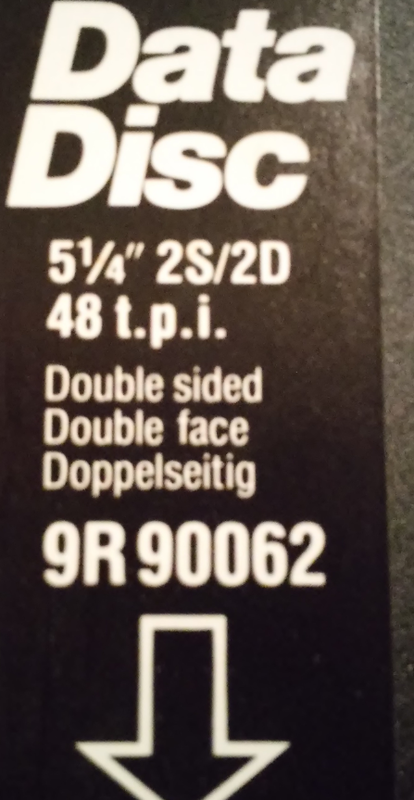 Also in the user's manual of the 8088 they speak about 360k disks. Probably it's a FD-55B or something similar. But I'll try to unmount the drive to have some more information. - if I understood well, the kryoflux does a "scan" of the entire surface of the disk, so it scans also the unused space, would it be possible in theory to recover a deleted file if it is in the unused space? - how about power supply? I see there is a molex connector and an external supply connector, do I have to use both or the molex is enough?